The Thee Kian Wie distinguished visiting professorship is a joint initiative of DFAT and ANU to honour the contributions of Dr Thee Kian Wie. Dr Thee Kian Wie, who passed away in 2014, was one of Indonesia’s outstanding academic and public intellectuals. For 50 years he worked at the leading Indonesian Institute of Sciences, LIPI. His work was widely recognized both at home and abroad. He received the Indonesian government award, Bintang Jasa Utama, in 2002 for public service. The Australian National University also awarded him an honorary doctorate degree in 2004. For more than 30 years, he was a great friend of the ANU, and in particular the Indonesia Project. The program is to invite a highly distinguished Indonesian economist to take up a visiting position each year in the Arndt-Corden Department of Economics for up to 3 months during the period of appointment. Dr Mari Pangestu served as Indonesia’s Minister of Trade from 2004 to 2011, and as Minister of Tourism and Creative Economy from 2011 until October 2014. She was the first female Chinese-Indonesian to hold a cabinet position in Indonesia. She is widely respected both in her country and overseas and is recognised as a highly effective public speaker and minister. She has acquired vast experience over 25 years in academia, second-track processes, international organizations and government, working in areas related to international trade and investment in the multilateral, regional, and domestic setting. Professor Muhamad Chatib Basri is certainly one of Indonesia’s most eminent and highly regarded economists. He is the leading public policy economist of his generation in Indonesia. He was the Indonesia’s ‘Sherpa’ to G20, the Head of the Indonesian Investment Board and the Minister of Finance during the Yudhoyono’s presidency. In 2015/16 he held a prestigious resident fellowship in Harvard’s Kennedy School. 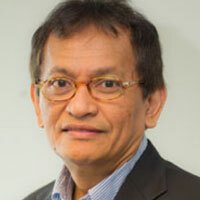 Professor Iwan Jaya Azis is regarded as the foremost regional modelling economist in Southeast Asia, and he has made very significant intellectual contributions in these fields. He has also made significant contributions in the fields of the poverty, international economics, Asian regional economic cooperation, understanding financial crises, and analyses of the Indonesian economy.